The personal and professional history of Maurice Rozet can be traced along the same path as the Alexander Hughes Group, a firm that he has watched grow and develop under his leadership for over 35 years. 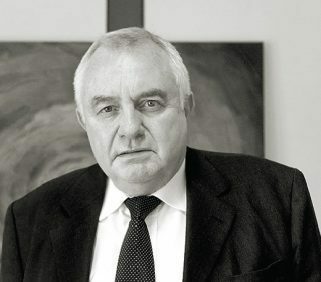 At the age of 29, Maurice created CPM Search (now Managers by Alexander Hughes), one of the first French firms specialized in the direct search and recruitment of top managers. During the first years of development, Maurice focused on the French market; however he made it his priority to progressively forge agreements with other European firms offering the same quality services to their clients. In the early nineties, Maurice defined the strategy that remains the Group’s driving force today – to be present throughout Europe, the Americas, Asia-Pacific and Africa through a network of wholly-owned, fully integrated offices. By successively acquiring or creating offices from scratch in each country, Maurice has pursued his objective to place Alexander Hughes on the podium of those few European search firms capable of rivalling the largest networks in the world. Before entering the executive search world, Maurice was Managing Director of the European subsidiaries of Fruehauf, a manufacturer of transportation and road equipment. He was responsible for sales financing and long/short term renting and leasing. Maurice graduated from an advanced business school. And at the end of his studies he published a manual on Medium Range Planning. Maurice is fluent in English, French and German.